Southern Rail said a fault had occurred with signalling system between Hampden Park and Pevensey and Westham which meant services were not able to run along the line. A spokesman confirmed Network Rail engineers were replacing 500 metres of ‘defective’ cable which had caused the failure earlier today. Replacement buses are currently operating between Polegate and Hastings but will not be calling at Hampden Park or Eastbourne. 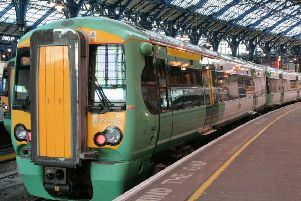 A train shuttle service will be in place between Hastings and Pevensey and Westham calling at all stations between Hastings and Pevensey and Westham but not Pevensey Bay, the spokesman added. Disruption is expected to last until 12pm.